IGNOU has signed an MoU with the Unique Identification Authority of India to enrol all students, alumni and staff to Aadhaar. The Aadhaar enrolment for all students will commence soon at all regional centers. 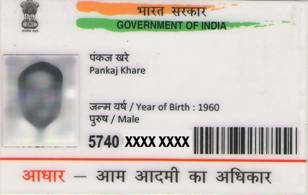 Aadhaar is a 12 digit individual identification number issued by the UIDAI on behalf of the Government of India. This number will serve as a proof of identity and address, anywhere in India. Any individual, irrespective of age and gender, who is a resident in India and satisfies the verification process laid down by the UIDAI, can enrol for Aadhaar. Each individual needs to enrol only once for Aadhaar, which is free of cost. Each Aadhaar will be unique to an individual and will remain valid for life. Aadhaar will help you provide access to services like banking, mobile phone connections and other Government and Non-Government services in due course. Aadhaar will over time become a recognised and valid proof of ID and address accepted across the country and across a number of service providers. Aadhaar will consequently form the basic, universal identity infrastructure over which government and non- government service providers across the country can build their identity-based applications. Once residents enrol for Aadhaar, service providers will no longer face the problem of performing repeated Know Your Customer (KYC) checks before providing services. They would no longer have to deny services to residents without identification documents. Residents would also be spared the trouble of repeatedly proving identity through documents each time they wish to access services such as obtaining a bank account, passport, or driving license etc.